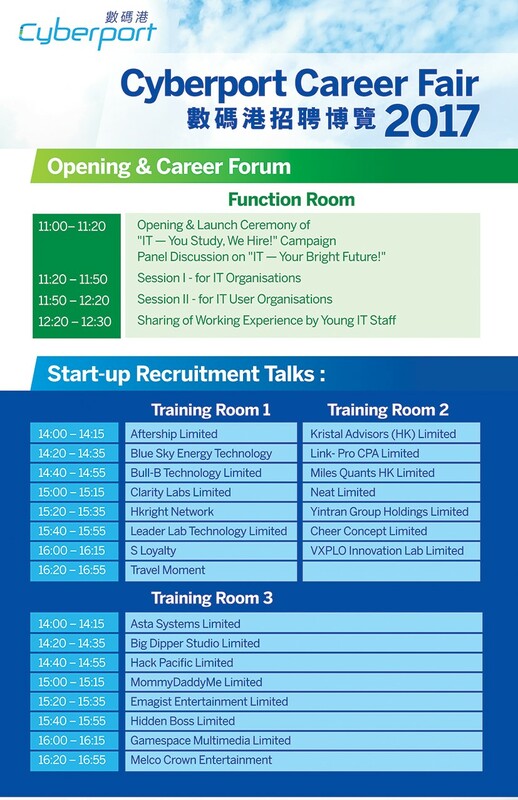 Committed to inspiring the next generation of digital technology talent and nurturing the entrepreneurial spirit, Cyberport will organise the annual “Cyberport Career Fair 2017” on 4 March (Saturday) at Cyberport. 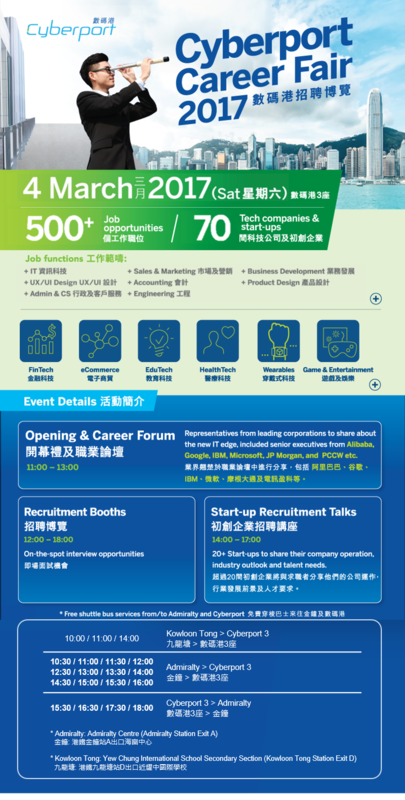 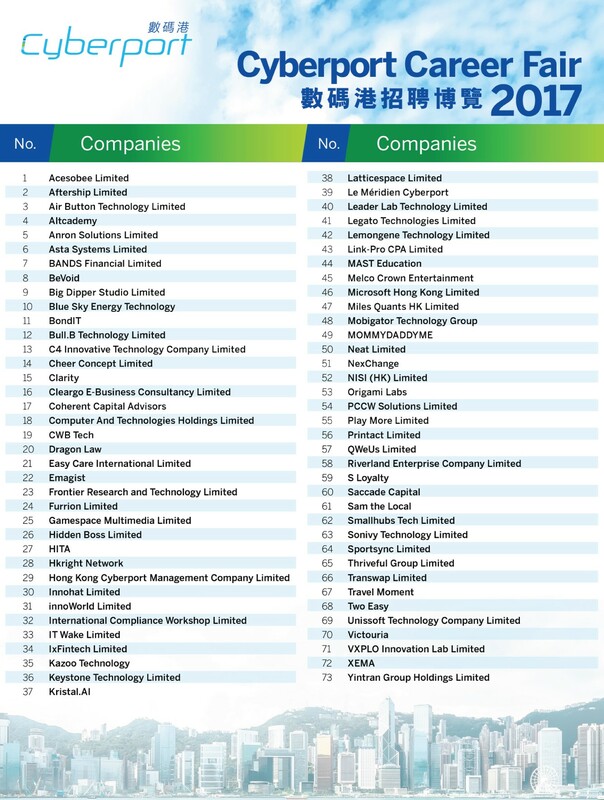 This year the Career Fair targets to offer over 500 job opportunities from 70 technology companies ranging from start-ups in FinTech, EduTech, Wearables and e-Commerce, etc. 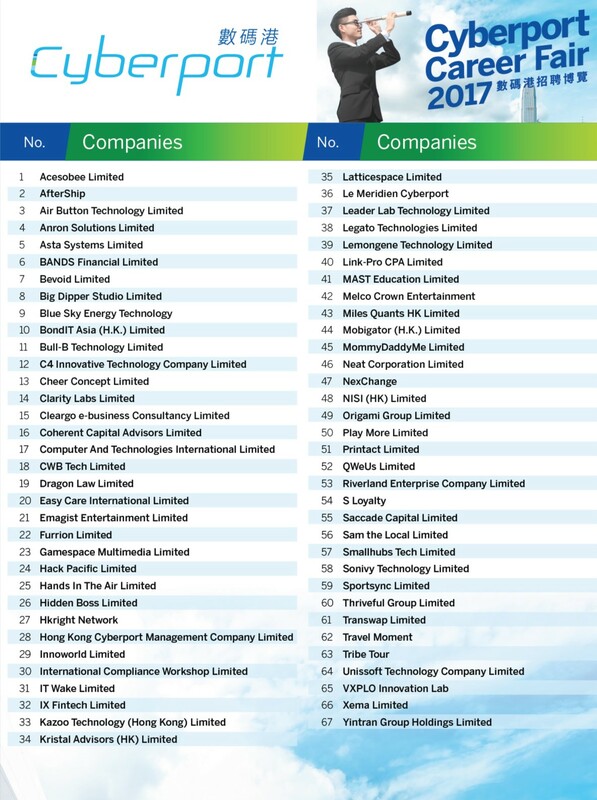 to global technology corporations.